Here is a an Article that explains Reiki and the benefits of it. The world known Dr. Oz talked out it on his show and how his wife is a Reiki Master. Reiki benefits all, babies, children, teens, adults and older adults. The energy that moves through our body sometimes hits some blocks, but with Reiki those blocks can be moved and you will reach a greater wellbeing. I am currently open to give Reiki Sessions on the Los Angeles area. Please feel free to contact me and set up an appointment. I am running a special offer since I have moved my practice from San Diego to now Los Angeles. Please only serious inquiries, not spam. 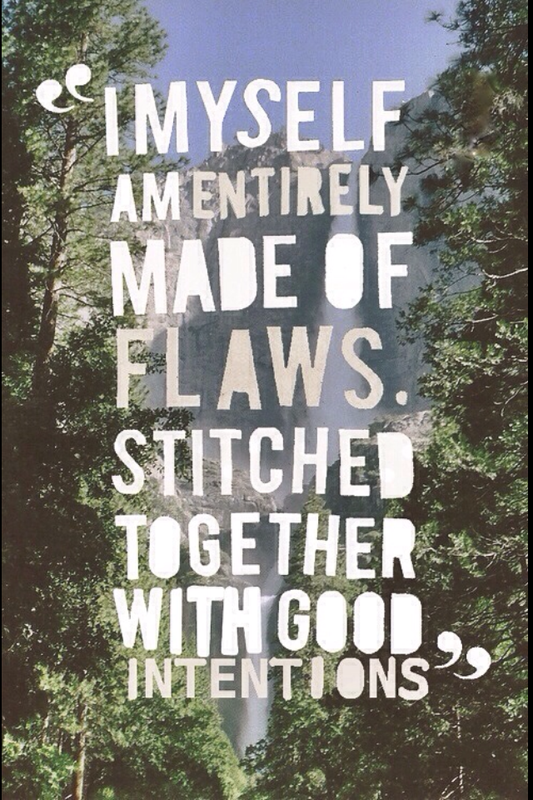 Flaws make you who you are! It’s been a while since I had time to sit and write some words of inspiration. Recently I’ve been face with my imperfections, before I would deny them, now I embrace them and have learned to recognize them. Now, I can prevent things from getting out of hand and hurting others ( or at least I try not to hurt others). I realized that I am very spoiled, that I go into negative zone when I don’t meditate, and that I eat unhealthy food when I am just not in my zen. Do you experience something like that? Our lives are on a constant hurry.. hurry here, hurry you’re late, hurry I want that faster, I am on a hurry I can’t do it… hurry.. always on a hurry. We think that we don’t even have time to have flaws, but guess what?! We are not perfect and we shouldn’t strive to be perfect. We are who we are, our essence is what makes us unique so, why try to pretend we are perfect or that we can’t make mistakes. I notice that I did that, I tried to be miss perfect, and it was just so exhausting and it can hurt others, but the one that gets the most injured is ourselves. I realize that the best thing to do is to sit in stillness and appreciate the smallest things of life. Enjoy the ability to breath, to have arms and legs, to see, to feel, to have a bed to sleep on, to have a roof over my head. Sometimes we take for granted all of those “insignificant” things, yet they are the most significant of all. Love Yourself, Love Every bit our YOU! that’s the answer to all of those diseases, problems, and negative mindsets. Loving yourself is not going and buying the most expensive car, purse, clothes, or dinner. Loving yourself means appreciating the things that you have in this current moment, by being present, by sitting down and breathing, by nurturing your body with whole foods, exercising, and having a practice. They don’t have to be in a certain order, or all at once. You can start with just learning how to sit still and breathing. As I said I am not perfect and I don’t wish to be perfect, my practice it not perfect and I don’t always eat healthy, but I have the willingness to do my best. Having Flaws makes me feel Flawless! I love me and all of me is the best thing I have. There is something about the ocean, that pulls me in and just by smelling it makes me feel better. Every time I am down by the beach I discover new place, things, people or just different angles that I had not seen. I woke up to see a parade on Main St. for 4th of July, I thought It was very neat and special. It was nice to see how people, families still come together and make this type of events happen. I wish my Mexico was more like this (its a deep secret in the back of my mind) yet, I am just so grateful I got to see it. I only took pictures of the parade and some of the beach, just a bit of what my eyes saw. I am soo ready for brunch! !